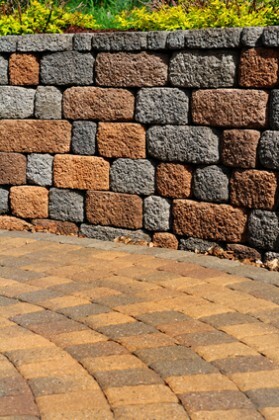 Another aspect of your home that tends to need care would be Fayetteville hardscapes and patios. Which just happens to be yet another job that the experts here at our Fayetteville landscaping company can take care of for you. We have becoems the number one local leading service provider for services like this, so all you have to do is give us a call. From installation to repairs and maintenance, we will be there to get the job done. You can get so much more enjoyment for your own property by adding these features to your yard. Imagine loving the look of your backyard with the addition of a hardscape or being able to better enjoy your own great outdoors with the addition of a professionally built, customized patio. Since 2007, we have been the name that locals turn to in order to get this type of work completed. We offer the best in high quality results for all the work we do related to outdoor environment enhancements. It doesn’t hurt that adding either or both of these to your property will increase the overall value. So even if you are not planning on putting your home on the market for sale any time soon, you can still see this as an investment as opposed to an expense. The important part is making sure that you get your work done by professionals who take this line of work seriously, as opposed to settling for inferior workmanship. This is not the time to be cutting corners and opting for deeply discounted services, remember, you get what you pay for. Adding this to your yard also means you increase the curb appeal and have a better chance of making a better first impression. Let us show you all the exciting options that you have available to you, but we cannot get started until you give us a call. We look forward to working with you and helping you make the most of your decisions for enhancing your own backyard. 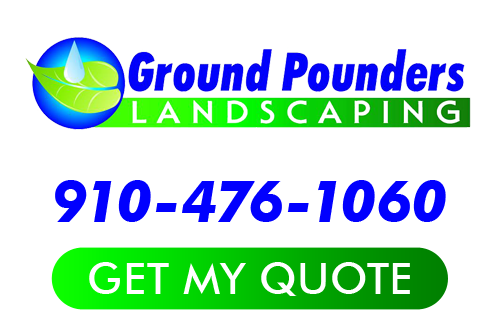 When quality counts, as it always should for your home or business, the name to trust in is Ground Pounders Landscaping. Our main goal is to help you focus on making the most of your property, from landscaping maintenance to projects like this, we offer you only the best. When you realize that you are in need of a true pro to take care of your Fayetteville hardscapes and patio professional, you can count on us. Don’t take chances when it comes to the quality you get for your home and your landscaping. If you are looking for a Fayetteville Hardscapes expert then please call 910-476-1060 or complete our online request form.